Luck is a complex issue and one that is hard/impossible to quantify, but it is also something that is so commonly misquoted. 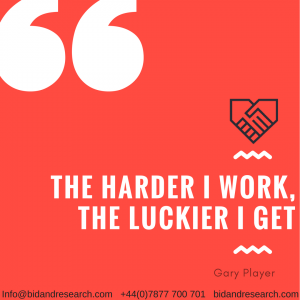 Hardly anyone ever achieves anything of significance without a huge amount of hard work and sacrifice, yet the successful are so often referred to as lucky. In our latest video we address the issue of luck and explain how you can actively become more lucky. Across the UK public sector organisations run approximately 1,400 individual tender portals which causes a little confusion when looking for bid and tender opportunities! Public Sector contracts offer a huge opportunity to UK businesses with over £65 Billion worth of contracts advertised each year in the UK. With Government targets to hit, public sector organisations have to ensure that £21.3 Billion of that is awarded to SMEs each year- there is a very real opportunity for aspirational Entrepreneurs. 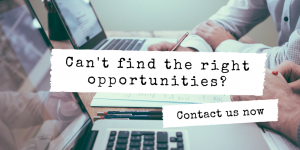 Contracts Finder– typically contains around 80% of Local Authority opportunities across England with an inconsistent range of opportunities from Housing Associations, NHS etc. it can be useful to find contract award notifications and contract renewal dates. Wales and Scotland have made things a little easier. The two Welsh portals- etender Wales and sell2wales should cover every public sector opportunity and Public Contracts Scotland covers every opportunity all in one portal. TED (Tenders Electronic Daily) is where you will find OJEU (Official Journal of the European Union) notifications. This is a list of all high value public contracts from across Europe. Once an opportunity reaches a certain value/threshold (which varies by sector) the opportunity must be advertised in the journal. Two other key resources are the portals which advertise MoD Contracts although they are quite strict on who can sign up and what you can view with a lot of their opportunities quite sensitive in nature. The emergency services portal- Blue Light is also a useful resource. Thanks for reading and thing else you would like us to cover just let us know. This is a question we are asked time and time again. So we have decided to share some of our top practical tips which are easy to follow. 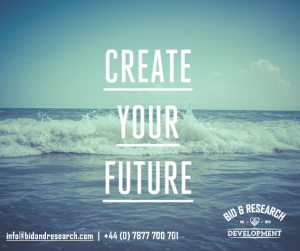 We believe that picking the right opportunity in many cases is the first of three key steps to increasing you tendering success (we will save the others for another day). Read the questions- this might sound too simple. but before you even read the specification in detail read the questions. look for trends and patterns. So what does this mean? if all of the questions are fairly generic that’s fine no problem, we have learned very little. However, maybe there is a constant theme within the questions such as Question 1. How will you deliver the contract and report against delivery. Question 2. How will you manage implementation and report progress. You see where this is going. If there is something consistently highlighted then you know that they have potentially had an issue with the reporting from a previous supplier and through emphasising your expertise in this area you can set yourself apart. Also look out for a question which really stands out. If every question is generic but one question is very specific or highly technical. This is a red flag. Unfortunately in some cases existing supplier or even future supplier can convince procurement teams that they absolutely must have some absurd capability which in turn gives that supplier an advantage. It doesn’t happen often but when it does you can be pretty sure that the supplier who has had that influence will win the contract. Contract value. Recent regulations removed the restriction on public sector organisations which restricted the value of contracts which can be awarded to SME organisations. Previous legislation allowed public sector organisations to award contracts to companies worth up to 50% of their turnover (e.g. company with £100k turnover could win a 3 year contract worth a total of £150k) despite the removal of the restriction and the previous rule you will very rarely see an organisation awarded a contract worth over 40% of their annual turnover (e.g. company with £100k turnover awarded a contract worth £120k). Regardless of the legislation public sector organisations are still risk averse and rightly so. They have a duty to spend public money responsibly. Giving a £1m turnover company a £10m contract would be madness regardless of legislation. So select realistic opportunities. You are often better to focus all focus all of your attention on one opportunity rather than lots of different ones. Just having a go is not an option. No one ever one a contract by just having a go because someone out there will be putting in a lot of time and effort. 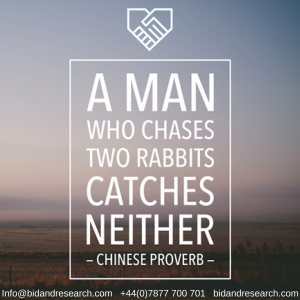 Research the service and the current provider. Its amazing the news stories that can pop up of poor service or price increases or public complaints. Its definitely worth 15 minutes of google searching. If it is a regulated industry you can even read some rather official external reports and audits which often highlight strengths and weaknesses of the competition which at worst is useful for developing your response through knowing what you are up against. If you find something truly shocking why not even be a little mischievous and send it to the local newspaper (However this is not something we actively encourage). 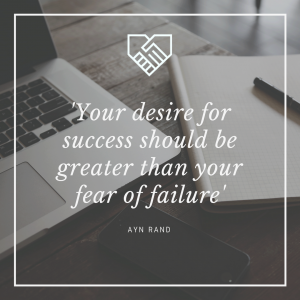 Other factors should of course be considered such as deliverability and ability to achieve commercial success through delivery but that would be just stating the obvious. I hope this has been useful. 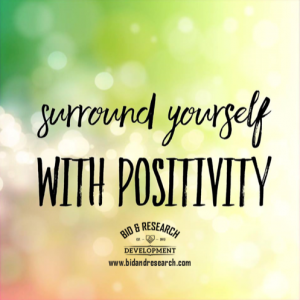 If you are doing anything different that has been helpful or successful please share we are always looking to learn from the experiences of others. 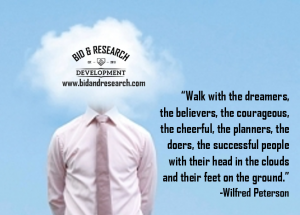 We have created a Facebook group where we hope to build an online community supporting people with all things bid and tender related. This is not a place to sell your wears, it is merely a place to ask questions and learn from one another. 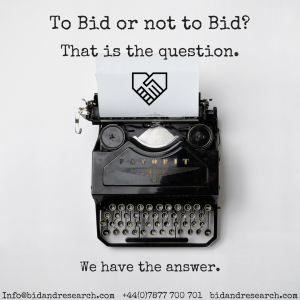 This group is for those aspiring to write better bids and we have a number of other bid writers in the group- even those from competing organisations (just to prove we aren’t there to sell to you). So far we have shared links to free bid training events, links to opportunities, we did a live video to demonstrate how to use a postal and whole lot more. Please feel free to request to join the group, the more the merrier as they say! Thanks for reading and hope you join us soon. Following on from the success of our initial video we developed a practical video which outlines the 90 | 90 | 1 rule. This is a practical tool which if used consistently can help you to achieve huge growth in your business or can support progression towards personal goals and objectives. Maybe your goal is to secure longer term contracts with a public sector client. We can help with that of course but whatever it is give this a go and please share any results with us. We will be providing regular updates of our progress through our social media stories on Facebook, Instagram and snap chat so please follow our progress and if you like this video don’t forget to subscribe as we have more content coming soon.